The project on State, Sovereignty, and Self-Determination addresses issues of boundaries, identity, variants of autonomy, governance, self-determination, self-determination's potential devolutive and state-shattering capabilities, and the emerging version of self-determination as "defining one's own destiny." Areas of focus in this project have included the Balkans, South Asia, the European Union, and the former Soviet Union. The project on State, Sovereignty, and Self-Determination addresses issues of boundaries, identity, variants of autonomy, governance, self-determination, self-determination's potential devolutive and state-shattering capabilities, and the emerging version of self-determination as "defining one's own destiny." Self-determination and the definition of the "self" obtains new relevance in a world of global real-time interdependence and the heightened role of non-state actors. Through the Institute's history, the project on State, Sovereignty and Self-Determination has focused on conceptual and theoretical aspects of the study of the state, sovereignty, and self-determination, and case studies of these concepts in action, including on the Balkans, South Asia, the European Union, and the former Soviet Union. The Balkans: Through the 1990s, LISD hosted several meetings and funded research on peace building and the future of the South Balkans. 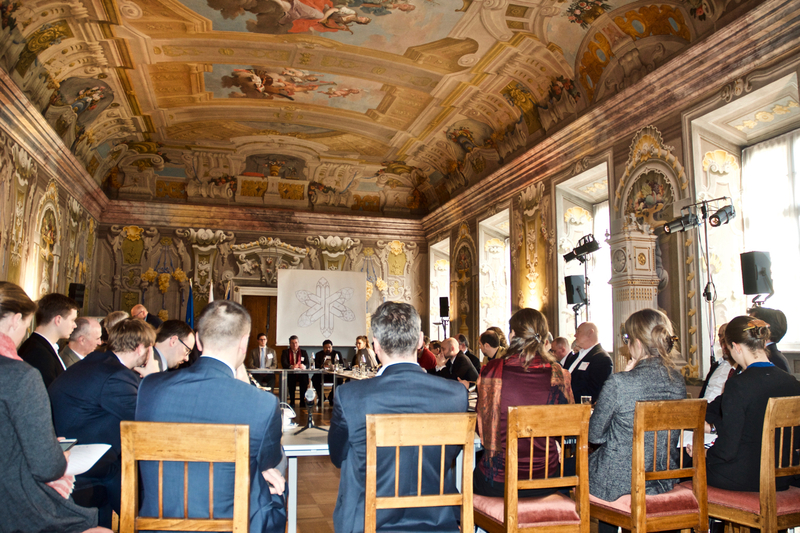 The Institute convened government officials and representatives from all parts of the Balkans, including Kosovo, together with experts from the European Union and the international community to debate and develop new ideas about conflict resolution in this region. These exchanges were designed to foster unrestricted dialogue leading to practical as well as theoretical models for solutions. Discussions focused on issues relating to the democratization of Serbia and Kosovo, self-governance and the Kosovo refugee crisis, reconstruction and repatriation, economic issues and regional integration, religious and cultural dimensions, and the future of the Balkans, with an emphasis on youth. South Asia: Between 1997 and 2001, LISD held three conferences on decentralization and security in South Asia. The first two conferences, held during the fiftieth anniversary year of Indian independence, assessed the nature of democratization and decentralization in that state. Leading scholars analyzed the country’s political structure and debated various aspects of its history and institutions, and examined how these factors contributed to the success of India’s democracy. The subsequent meeting analyzed self-governance and security in South Asia, with a particular focus on political stability in Kashmir and possible dangers emanating from radical fanaticism, international networks, and weapons of mass destruction. The European Union: The European Union and its character as a supra-national organization offers additional dimensions above the traditional realm of "the state." LISD began its work on and with the EU in 1998. The project is concerned with the role, status, and influence of the EU in the emerging international system, especially the EU’s institution building, enlargement, and capacity to deal with foreign, defense and security dimensions, and international crises. Ongoing aspects of the project address the effects of crises - especially since 2008 the global financial and euro crises - on the EU’s standing, role, and power in the emerging international system. The Former Soviet Union: From 2000-2002 as part of a project on “Self-Governance in the Region of the Former Soviet Space” LISD examined issues of relevance to the emerging Russian state, such as borders, Russia’s religious and ethnic communities, security, education, health, and the economy, as well as the impact of organized crime and weapons of mass destruction on the human security of Russia and its European Union and Asian neighbors. LISD also hosted discussions on the crisis in Chechnya with the goal of contributing to a possible solution to this ongoing crisis. The Institute endeavored to include a wide range of perspectives – including local, regional, and international – in the dialogue. Discussions were focused on the human suffering among the civilian populations, and the role of extended self-governance as well as crisis diplomacy. Kosovo: An Example for Self-Governance? The Right for Self-Determination and the Recent Events in Eastern Europe: Is There a Norm Erosion?